Core C.B.S.E. 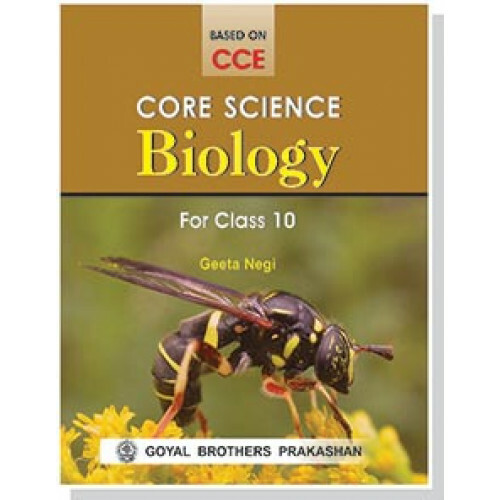 Science – Biology for Class X has been revised according to the guidelines given in CCE and the latest syllabus prescribed by the C.B.S.E., New Delhi.While preparing the book, our aim has been to promote understanding of the Biology.This student-friendly book teaches Biology in such an interesting and comprehensive manner that even an average student will have no difficulty in grasping the fundamentals of the subject. Strictly according to the latest C.B.S.E. syllabus and guidelines given in CCE. Clear, simple and unambiguous language. Concepts are supplemented by suitable day-to-day examples. Important terms and definitions have been highlighted. Previous years’ questions (upto 2010) included. 1. Exercise for Summative Assessment — It includes : (i) Multiple Choice Questions based on the chapters and on Practical Skills, (ii) Very Short Answer Type Questions, (iii) Short Answer Type Questions & (iv) Long Answer Type Questions. Questions involving Higher Order Thinking Skills (HOTS) have also been included in the exercise for Summative Assessment. 2. Exercise for Formative Assessment — It includes : (i) Science Quiz, (ii)Group Activity, (iii) Visits, (iv) Classroom Discussions, (v) Research, (vi) Experiments,(vii) Charts, (viii) Projects/Models, etc. It is our earnest hope that the book will provide a meaningful way of learning the subject and thereby make the whole process of understanding Biology a joyful experience. 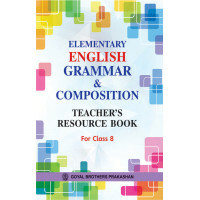 It is also hoped that the book will meet the requirements of the students and the teachers alike. Nootan Hindi Rachna Part 5..
Rise & Shine An Integrated Semester Course For Class 3 (Semester 2)..